KUM Memory Point - KUM | Made in Germany | Anspitzer Zeichengerate uvm. 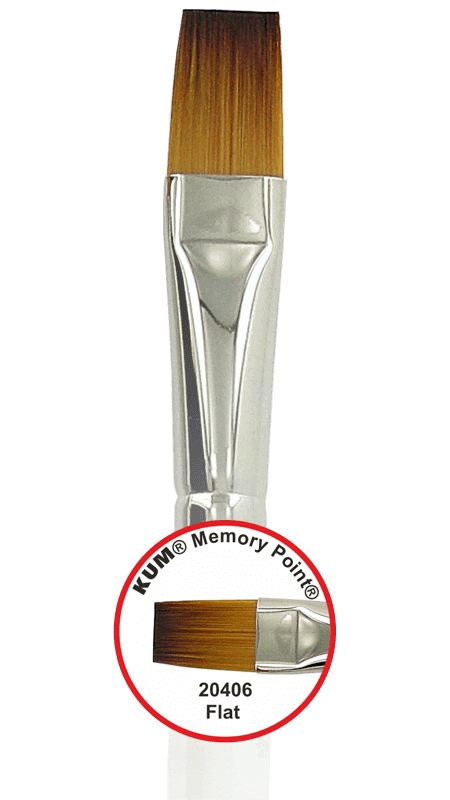 The KUM Memory Point high-tech hairs have been specially developed for KUM. The brush hair surpasses all previously known synthetic fibers in many properties. The material and its special processing give the brush its special properties. 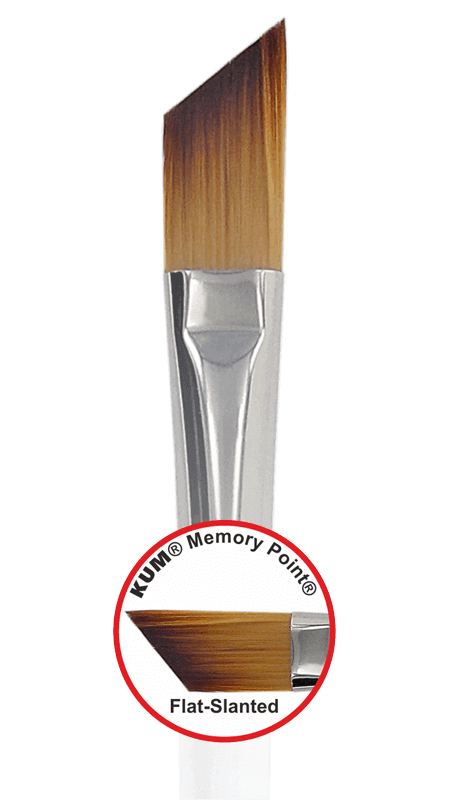 So our memory point brushes finally offer what artists need. 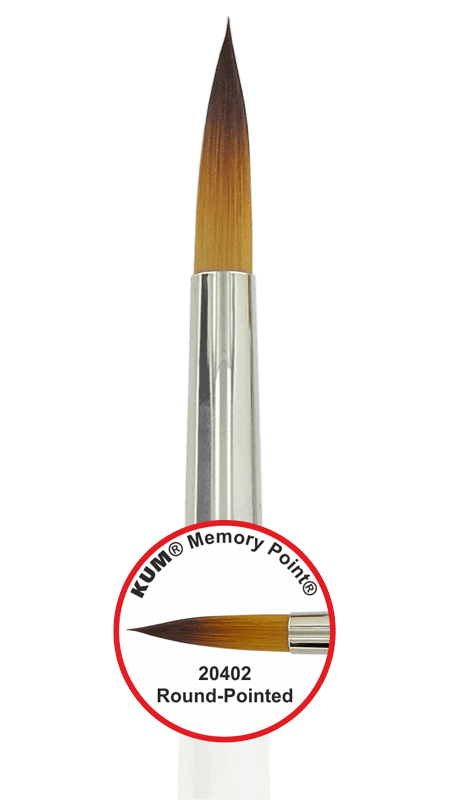 The Memory Point Brush has a perfectly shaped brush tip. This makes it possible to paint the smallest details with every brush size and to work extremely precisely. The used hair offers an excellent elasticity and elasticity. As a result, the fine tip returns to its original shape even after repeated use. This makes our Memory Point Brush especially durable. Our brush is also suitable for large-scale work thanks to its excellent storage capacity. Color can be optimally absorbed and released by him. Thus, even surfaces and color gradients can be created quickly and easily. 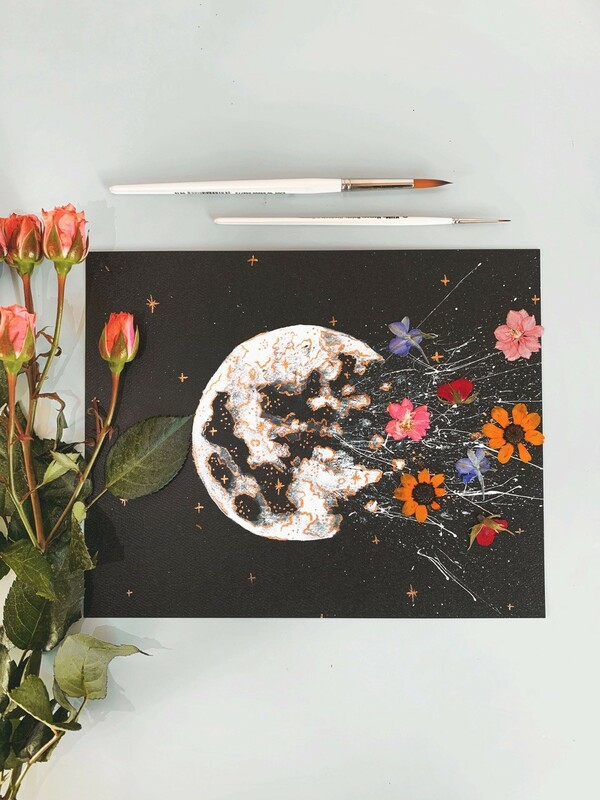 He also paints on a variety of painting surfaces, such as paper, canvases, silk or glass. 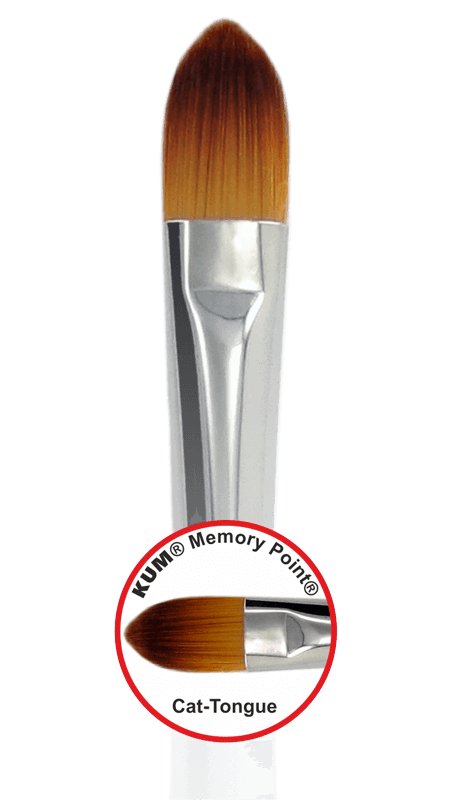 The Memory Point Brush has a short handle, which makes it particularly suitable for painting at the table. 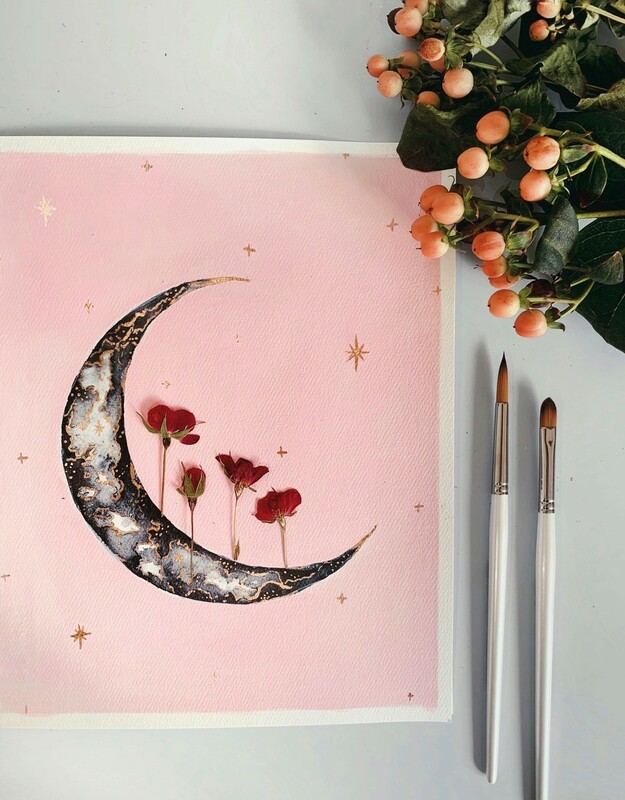 The smooth, round surface makes it comfortable to hold. Each artist has different demands on his brush, depending on the painting technique and the object. That’s why our Memory Point brushes are not only available in different sizes, but also in four unique shapes. The flat version of our Memory Point brushes is particularly well suited for spreading paint, creating even surfaces and glazing. The shape is also perfect for painting corners. With the brush edge fine lines can be drawn. The fine brush tip allows to realize the smallest details. At the same time a very good storage of color is guaranteed by the large number of closely spaced hairs. Thereby larger areas and color gradients can be created fast and easily. The wide, tapered shape combines the advantages of the flat and the round variant. This makes cat tongue-shaped brushes particularly versatile. The shape allows the artist to create an even application and smooth color transitions, as well as to paint lines and fine details. In addition, it is ideal for painting round shapes. The beveled, tapered brush tip is particularly suitable for various types of strokes and ribbons.